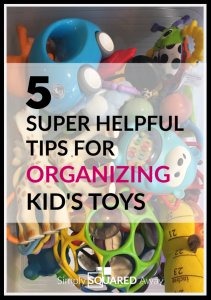 Organizing kid’s toys can be overwhelming. 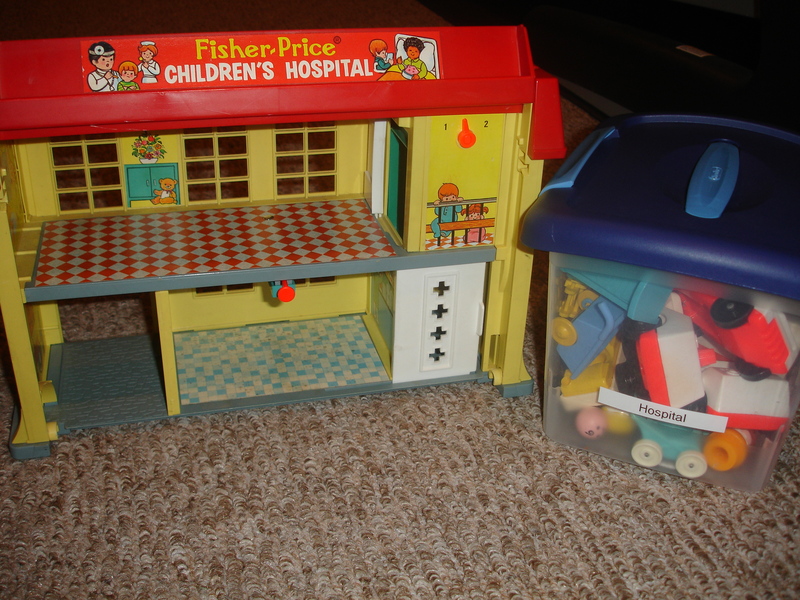 One day you look up and wonder how all these toys got in your house! 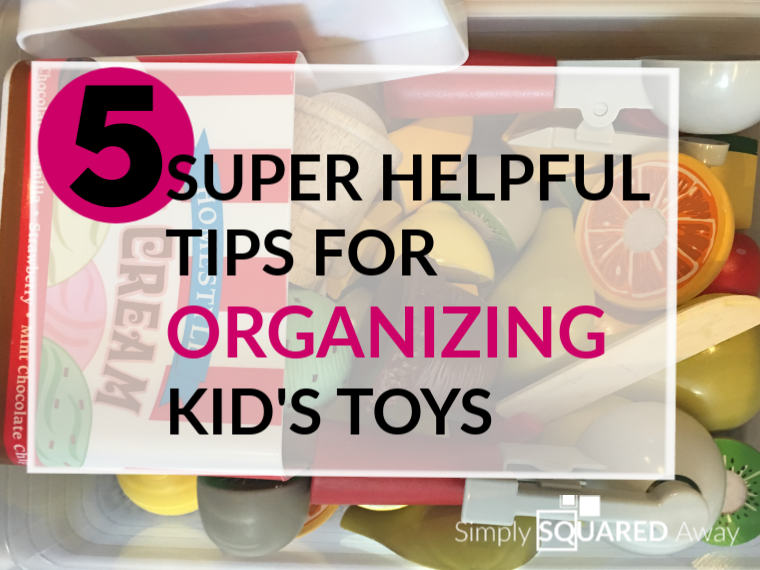 Use these five super helpful tips for organizing your kid’s toys today. 1. Create a toy library. Organize all the toys in one space. A closet works great if you have one but you can use a section of the room, a tall cabinet or bins. Have your child pick one or two toys they’d like to play with. They will “check them out” of the toy library just like you would check out a book at the real library. Whenever they are done playing with that toy, they return it to the toy library and are able to check out a different toy. This will help your child clean up after themselves. If they want a different toy, they must clean up and return the one they have checked out now. It also creates a clean, clutter free area for them to actually play with a toy. 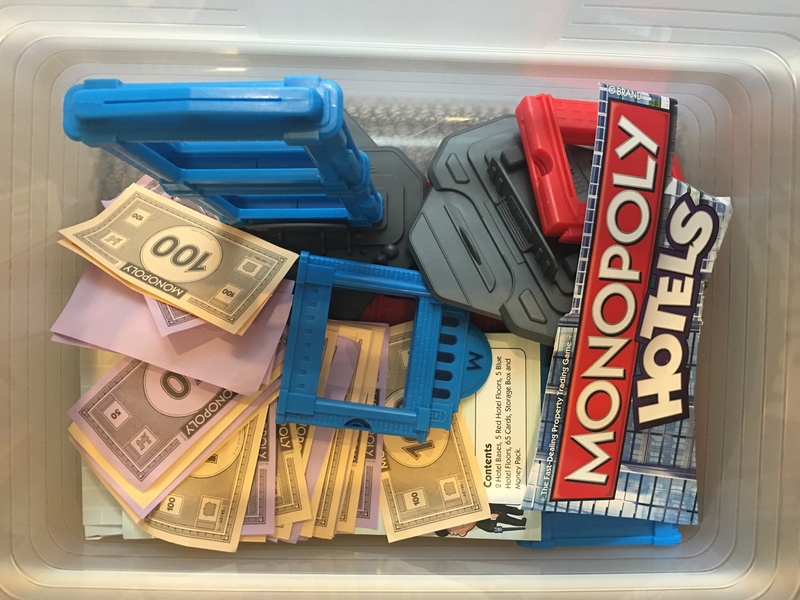 One of my clients did this and said her kids rarely traded out the toys they had checked out because they loved playing with those particular favorites. I started doing this with kids but now I do it with adults, too. And with myself! 3. Choose gifts of TIME over more stuff. Try not to buy “stuff.” Shift your thinking to purchase quality time gifts like a class you go to together, a trip, or even consumables like the ingredients you’ll make together for a special meal or dessert. Set the date on the calendar when you give the gift so it doesn’t get forgotten. When you’re on vacation don’t focus on the souvenirs. Focus on the experiences. “What will we get rid of when we bring this item in?” One thing in, one thing out. “What could we do instead of spending the money on this stuff that we don’t need or don’t have room for?” Put towards a trip? Give to a cause we love like the animal shelter? Help our friend’s family who’s parent lost their job? Think of gifts of time, activities, lessons, memberships, etc. instead of stuff. Instead of getting them a basket full of trinkets do one clothing item. For Valentine’s Day I used to do a scavenger hunt that led to a final gift. One year we had a sweatshirt theme. There was one candy item at each stop and then one sweatshirt at the end. No stuffed animals. No little trinkets. No more craft items. WARNING: Consider hard before you start collecting something for your child (or yourself.) 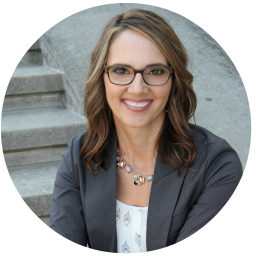 We tend to lose interest in collections after a year or two and then it’s hard to part…because it’s a special collection. 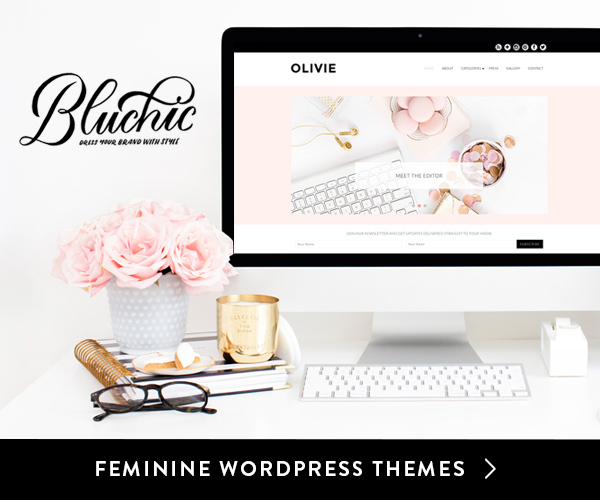 Result = Clutter. 4. Create a routine for clean up. 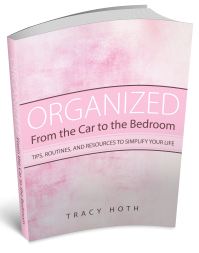 Childcare and preschools stay tidy because they have routines in place. They use music like the Barney clean up song to put things away before lunch and nap time. It’s so routine that as soon as the kids hear it they immediately start cleaning up. Take a bucket around every evening or every afternoon before naps to clean up stray toys. When you leave a room, yell “Freeze!” All turn around to see what needs to be picked up and do it together right then. Have fun! 5. Make it easier for kids to put things away than get them out. Some kids might not have the focus to sort all their legos by color after the day is over. So make a tub where they throw it all in for easy clean up. Use pictures so they know where the items go. Sort all the items and put them in containers. Take pictures looking into the containers. Print the pictures off and tape them to each container. You’ve got this! One step at a time. 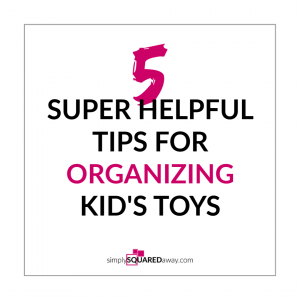 Start with sorting the toys…and then follow these organizing steps.